Inside the Cask has been researching the current and up and coming trends within the alcoholic beverages sector this year….and here they are. 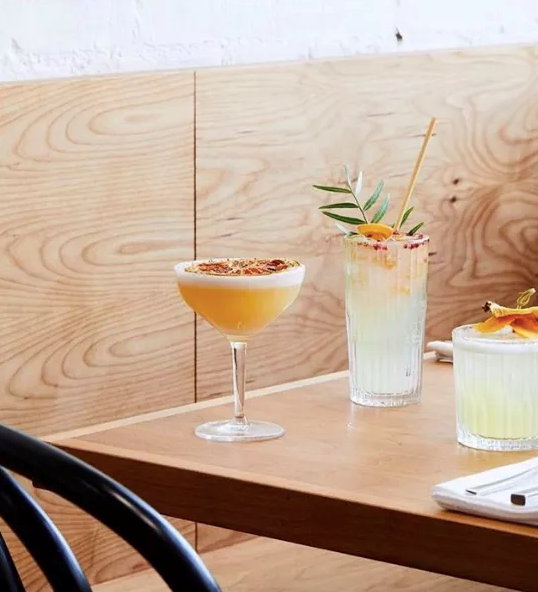 There is a growing number of restaurants and bars that are helping to remove the billions of straws discarded every year into landfill. Plastics cannot biodegrade, they last indefinitely – breaking down into smaller pieces, littering our landscapes and oceans, feeding into the food chain and potentially ending up on our dinner plates. 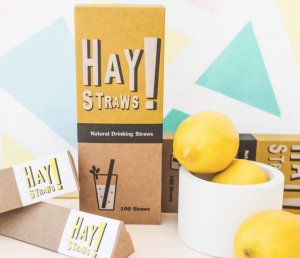 This trend is most visible in the on trade through the use of alternatives, such as natural drinking straws made from other sources (one example is HAY! Straws pictured above and made from wheat waste). 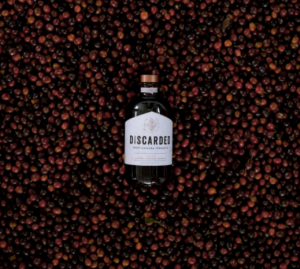 From a product perspective, this desire to remove or reuse potential waste can be seen through the recent launch of Discarded, the aptly named sweet cascara vermouth made from the discarded coffee berry fruit, also known as ‘cascara’. This is effectively the by-product of the coffee producer making process, as typically only the bean from the coffee berry would be used. 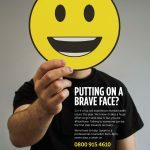 This trend is about making a choice about what is right for you, with alcohol now seen as just another option when out or at home enjoying ourselves. The non-alcoholic drinks market for example, is expected to grow and this is being extended from alcohol-free alternatives to beer such as Heineken 0.0% to also include more recently, alcohol-free distilled spirits such as Seedlip or Stryyk, which produces distilled zero-proof spirits like ‘Not Gin’ and ‘Not Rum’ that mimic the flavours of the popular spirits. Constellation’s recent investment in Canadian medical marijuana company Canopy Growth, is the surest sign yet that the trend for commercial cannabis is about to go mainstream. This is another alternative option to alcohol and the market is expected to grow especially amongst the younger generation. This will clearly be directly connected to legalisation as it is happening in places such as Canada and US states such as Colorado, Nevada and California. A few beers containing non-high-inducing CBD hemp extract already exist in US states where pot is recreationally legal, as drink companies adapt to this trend. Finally, for drinkers that do not want to stop drinking alcohol, but want to enjoy themselves whilst being more healthy-conscious, the growing trend is the switch in favour of lower-ABV alternatives such as fortified wines or pre-mixed cocktail or other similar alcohol ready-to-drink (RTD) products, such as PRESS alcohol seltzer. 3) The Rise of Crossover Booze and Hybrid Drinks – for full blog on this topic click here. The gin category is continuing to experience strong growth across markets, with demand for flavoured gins (and gin-based liqueurs) ensuring the consumer appetite remains high with UK gin exports reaching £530m in 2017, with an increase of 12% in value and 7% in volume terms. 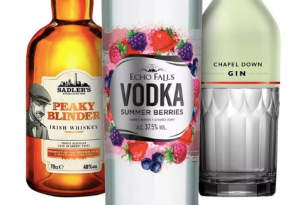 This opportunity to diversify and offer a wide range of flavours arguably has helped to bring new consumers to the gin category and increased its accessibility. 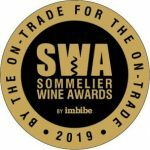 This continued increase in demand has also led to many new entrants and brands into the category, whether the product is a distilled gin, a compounded or non-distilled product labelled as gin. Unlike Scotch whisky and its clearly defined production methods and lengthy ageing process, the barrier to entry for the Gin category is low which makes it an enticing opportunity, especially in the short to medium term for the new distilleries looking at gin to generate cash flow before the market place becomes saturated. 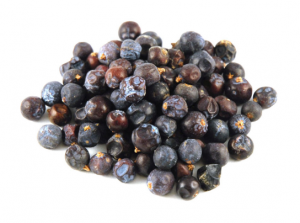 A predominant juniper flavour – from the juniper seeds (pictured above) – is the standard for the Gin category, however this is not always being met with new releases containing little or no juniper character and being overshadowed by more powerful flavourings. 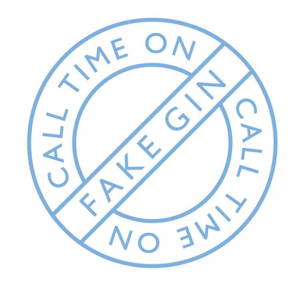 It is for this reason that Miranda Hayman and James Hayman from Hayman Distillers, have recently launched a campaign calling time on “fake gin”. This battle between staying true to the Gin category with a predominant juniper flavour by the trade and accessibility (through demand for more flavoured options away from juniper) by consumers will continue to be played out and a key ‘battle ground’ will be through the bar community in the On trade, arguably the gatekeepers of the drinks industry…this is one to watch! 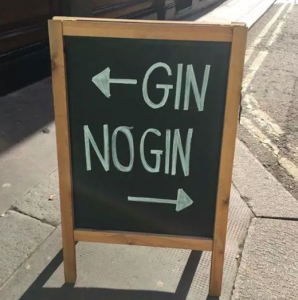 For an Inside the Cask blog on this topic, check out ‘Say No to “Fake Gin” Campaign gaining momentum’. Drinkers across beer and spirits are drinking less but paying more for higher quality consumption. 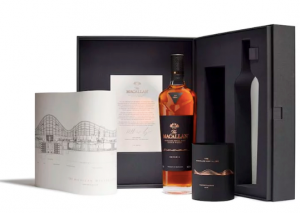 This trend to trade up is known as ‘premiumisation’ and can be seen in the Scotch whisky category, whereby globally the growth is coming from the Deluxe blended scotch and Single Malts, whilst Standard blended scotch is in decline. Additionally, the Scotch whisky category is also benefitting from an increasing global demand for rare single malt whiskies with volumes up by 27% and value up by 46% (1st Half 2017 vs 1st Half 2018). The secondary market for Scotch whisky as reported by Rare Whiskies 101, showcases the collectability factor and financial returns that can be achieved by investing in the liquid gold from Scotland. The demand seen for The Macallan Genesis Limited Edition (pictured below) is one such example, resulting in disruption locally at the launch – as reported. In the world of today, of fake news, instant gratification and mass produced commodities, there is a desire for authentic quality, for products with real provenance. This is what is behind the increased demand for craft spirits for example. It is all about innovation, about artisanship and the passion behind the products, about heritage and transparency, about integrity and not necessarily about size. Consumers desire unique, spontaneous and immersive entertainment wherever they are. They want multi-sensory experiences, beyond sight and sound. They want to be educated and learn more about the products they consume by engaging at a deeper level. However, they do not want to be restricted to specific venues or times for their entertainment, and crave experiences that are personal and say something unique about them, which they can then share with their friends and followers. Technology can facilitate and act as a tool, such as the example of the in-bar sampling enhanced through virtual reality by Glenfiddich whisky (pictured below). Consumers will rely on brands to provide the entertainment value. For more information on the ‘experience economy’ – check out this article from Campaign.